We’ve had robots building cars on assembly lines way before they could drive them. 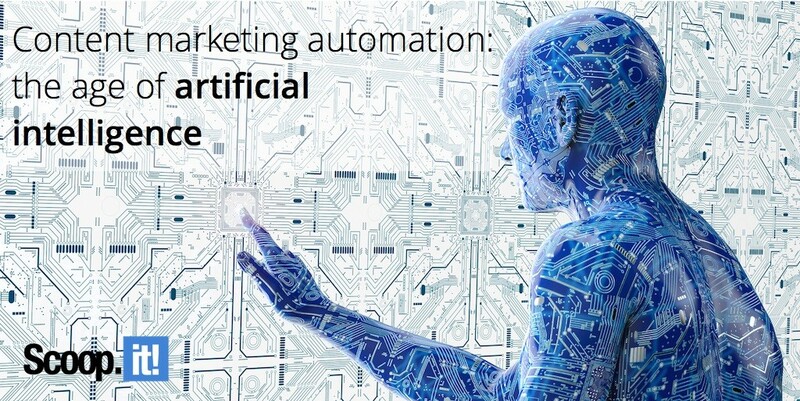 Likewise, marketers have so far been able to automate basic repeatable tasks but the creative or strategic parts of marketing – which include content – have benefited only minimally from advancements in automation. It’s only now that they can finally start to turn to artificial intelligence (AI) systems to help them not just work faster but also work smarter. Twenty plus years ago, I created a machine-learning neural network that was designed to predict which stocks were most likely to rise in the next 12 months. The bot – though we didn’t call it that at the time – crunched thousands of data points on stock performance, company financials and economy trends to learn correlations that no human beings could establish. At least in theory. In reality, I’m not sure what the system really understood but I did. I realized that it would take a few more decades before AI could do the job of a stock market portfolio manager. Three years later, I worked on a different kind of automation as an industrial engineer manufacturing mobile phones. We used automation to build electronic boards, assemble mobile devices and even test them for quality assurance purposes. Even in the 90’s, this wasn’t experimental science. It was simply the only way we could afford to produce mobile phones in Western Europe (and even that proved not to be enough a few years down the road). The assembly line robot equivalent, capable of processing simple repeatable tasks faster and with greater precision than humans, already existed. It was – and still is – called marketing automation. Companies like Marketo or HubSpot have made marketing automation widely available. And like the younger me desperately trying to compete with Chinese mobile phone manufacturers, every experienced marketer now leverages this kind of automation to grasp as much attention they can from their volatile target audience. The intelligent and self-learning piece was non-existent or experimental at best. I couldn’t find marketers who told me they were using machine learning or even simpler form of AI like expert systems in their daily marketing operations. Example conditions would be data from an individual contact meeting certain criteria or visiting a certain page. In this situation, a specific email would be sent to that contact. Another example would be the condition “when a certain time is reached”, whereby a certain social post or DM would be sent. You can elaborate on the conditions and publishing channels, and even get conditions somewhere to publish somewhere else thanks to services like IFTT or Zapier, but it’s still the same linear conditional trigger. This basic type of automation doesn’t help with content creation. You can not “if-then-that” a blog post. A blog post – even an infographic, a video or an eBook – requires research, creativity, editing and optimization. The success of any piece of content will depend on the execution of all these tasks. Distribution in efficient content marketing strategies is not a one-off event nor a linear process. If your content is not designed to produce results long after it’s been published, you will fail to generate enough ROI. Successful content marketers apply linear promotion at launch but then use data and analytics to understand how to optimize distribution for posts that generate the most promising results. This way, they’re able to get compounded returns which pay off much more over time as they don’t exhaust themselves creating ephemeral traffic spikes every week. SEO is complex and dynamic. Here again, if you dismiss search as an important traffic and conversion channel for your content marketing, you’re likely to fail. But SEO is not 100% under your control: unlike for an email or a social media post, you cannot press a button to be on the first page of Google. In addition, it’s dynamic: what ranks today won’t necessarily rank in 3 months. Good content marketers continuously audit and optimize their content. To update it and make it more accurate but also to optimize it based on what insights they had, competitive content they found or new content they themselves generated. What I learned doing basic AI back in the 90’s is that machines need clear goals. They can learn how to optimize but only if you define precisely what metric or combination of metrics to optimize for. Whether it’s playing chess, Go, World of Warcraft or driving cars, there are always quantifiable metrics computers can use to learn, optimize and make decisions. Many content marketers make decisions based on gut feelings alone. This is not necessarily a bad thing. Human beings make a lot of smart complex decisions this way. But it also creates the #1 problem we have today with content marketing: it’s hard to prove the value. And gut feelings are also yet unknown to machines. So for marketers to be better at showing the value of their content and for AI to be able to help, we needed to have a frame of reference for content marketing success. And until recently, it’s been lacking – which is why 56% of marketers couldn’t attest of the efficiency of their content in the latest yearly Content Marketing Institute/Marketing Profs benchmark. Earlier this year, I proposed and described a framework for b2b content marketing analytics. It’s neither perfect nor universal. First, it focuses on b2b marketers of small and midsize enterprises. Second, it assumes that lead generation is the most important expected benefit of content – something that I found true for the majority of – but not all – these b2b SME marketers we talk to on a daily basis at Scoop.it. So it leaves out brand awareness or brand perception which are critical in b2c and for larger brands. But it’s not simplistic: it takes into account the complexity of the b2b funnel and the fact that content will deliver results over time and through multiple touch points. Traffic through initial promotion: a first level metric which is essential but not enough to measure success as not a business KPI (and that also includes a number of biases). Earned distribution through shares by your audience: a sign of content quality and alignment with your audience’s interests but not a business metric so not enough in itself. Leads generated over time: the real business KPI most b2b SME marketers would like their content to deliver. It’s important to note that as we have various level of leads along the funnel (contacts, subscribers, MQLs, SQLs…), we can’t ask content to produce only SQLs. We have to be fair and measure whether a piece of content helped fill in the funnel (any type of conversion, even top of the funnel conversions such as email sign ups or gated ebook downloads) or move a prospect down the funnel (conversion from one given stage to a more qualified stage, eg from subscriber to MQL). And we have to acknowledge the fact that most of the time, content success is not a “read-and-convert” experience: people reading something and being influenced by it might convert several hours or days down the road. So the attribution model needs to take time into account. Most of the time, content success is not a “read-and-convert” experience. With such a model, you measure 3 important metrics for every piece of content and you can start to ask an algorithm to optimize for what you want. And you can also prove the value much better. Intelligent content marketing automation consists of technologies that are capable of making or even implementing relevant recommendations to improve a company’s content performance by combining analytical data, publishing history and artificial intelligence algorithms. So how does it differ from what we’ve seen today? First, this is not basic automation as we’ve seen before. Intelligent content marketing automation – defined this way – is not just about automating some repeatable basic tasks such as social media publishing or email distribution. It’s technology capable of knowing why and for what objective a particular task is required. Second, this is more than glorified analytics. Analytics are good but they’re not enough. It’s easy to multiply data and lose sight of what’s important. And data doesn’t tell you what to do. It needs to be analyzed before you come to a conclusion and a recommendation. So what we’re talking about here is technology that can perform this analysis from the data and derive some conclusions from applying marketing best practices or identifying opportunities to optimize performance. As I was describing the concept of intelligent content marketing automation to a friend, he made the observation that this sounded like a consultant’s work. I’m sure human consultants will keep an edge over machines for at least some time but the image is interesting. Intelligent content marketing automation is about getting recommendations of actionable actions from technology – just like we would from a consultant. Intelligent content marketing automation is about getting actionable recommendations from tech. 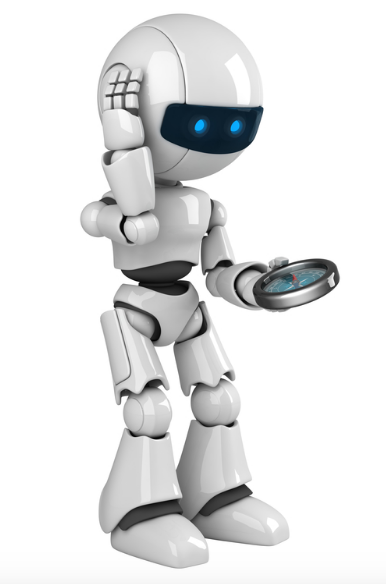 Whether or not, we as marketers will let the robot drive our plans or prefer to carefully sort through its recommendations remains to be seen. But technologies available today can already guide our content strategy, our content creation efforts and our content plans. Let’s look at the benefits marketers will have of being empowered by intelligent content marketing automation. 1. Being systematic in applying best practices of content marketing. It’s easy to work by the book when you only have a few pieces of content. But as your content inventory grows, it’s hard to keep track of everything you have to do next with your content – especially when you have to apply a consistent but complex distribution plan asynchronously from your creation workflow. Intelligent content marketing automation technology can track dozens or hundreds blog posts and thousands of publishing events so you’ll never forget what needs to be republished and when. You could for instance tell it to systematically share each new blog post at least 10 times on social channels and to all your email subscribers. Or you could have it check your content for SEO best practices before it gets published. 2. Creating better content for your audience. We’ve all wasted precious time and resources on content that wasn’t meant to be. Analyzing keywords, topics, past performance of your content as well as what third-party content is trending helps understand better what to write about. Every piece of content is a bet that it will resonate with your audience. Intelligent content marketing automation can reduce your risk by leveraging information and data which are out there but hard to collect and make sense of. As an example, a system like this could identify keywords likely to perform based on what your audience has been responsive to, what content gets shared on these topics and competitiveness of these keywords in Google. 3. 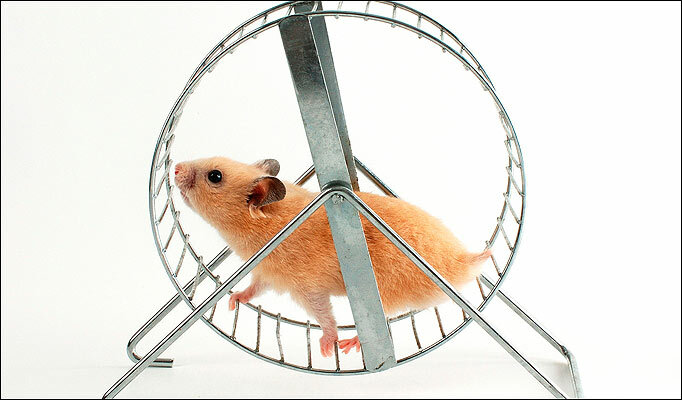 Optimizing content performance over time. Even if you apply all the rules and do awesome research work to create content people actually want, you’ll still have opportunities to optimize as your content gets exposed to readers. The type of system I’ve described can do the analysis work for you to find out what how to get more from your content – a nice and efficient alternative to creating more content. It could for instance give you recommendations based on predictive insights: if you were to re-share these top performing blog posts on social media or by email, you’d be more likely to generate traffic and leads given their traffic patterns and historical conversion rates. It could tell you what internal back links would be useful to add on your blog / website to improve SEO. 4. Understanding better the value and ROI of content. By doing the heavy lifting on tracking and measuring results, intelligent content marketing automation technology will help you make sense of the data so you can be confident about its value as well as clearly present it to your various stakeholders. It could for instance help you make the case that by doubling publishing frequency, you’d be likely to increase lead generation by X% – which would justify the additional resources required. Marketing Tech has been a prolific industry over the past few years. But as content is becoming pervasive in any marketing strategy, it’s time we had more than just basic automation of simple repeatable tasks to tackle the challenges of content ROI. By combining the right content marketing analytics framework with artificial intelligence technologies, intelligent content marketing automation systems will help marketers not just work faster but more importantly work smarter. 4 Comments on "Content marketing automation: the age of artificial intelligence"
Artificial intelligence isn’t the future, it’s already here. Scary but exciting. We need to take advantage of its incredible potential to advance our marketing efforts rather than fear and resist this approaching change. Artificial intelligence can provide marketers with actionable predictive insights to help them create better content that generates more traffic and leads. Absolutely @AmeerBinAhmad:disqus : scary and exciting it is but it’s there already! Thanks for the comment. One big breakthrough with AI is that it enables to interact, engage and transact with prospects to provide the solution in real-time.